Ph.D. in Cardiology is a 3-year doctoral program in Cardiological Science. The eligibility criteria for the program necessitates candidates to qualify their Master's degree in either MD or DM or equivalent degree with a minimum aggregate of 55% passed from a recognized university. Candidates for the program are selected on the basis of Merit. In addition, they are supposed to take up the various state and national level examination conducted by respective universities and colleges, followed by sessions of counselling/ personal interview and group discussions. The course is considered highly lucrative as it aids in adding further value and weightage for those who have completed their DM or MD in cardiology. Ph.D. in Cardiology is a medical speciality course dealing extensively with the disorders related to the human heart. All those who wish to take up the course should possess a good understanding of the subject. Additionally, they should have the capability of generating prognosis only after reading through all the detail, have excellent interpersonal skills, which aids in interacting with patients and their family, also assisting the latter gain confidence on the specialist. This will allow open-hearted interaction and get to the crux of the disorder. In addition, having good analytical and evaluation skills along with a general idea of handling computer is considered an added advantage for the program. The course fee for Ph.D. in Cardiology ranges in average between INR 20,000 to 2.80 lacs for a span of 3 years in India. The course opens up wide prospects in fields revolving around cardiology wherein the students are hired as specialist doctors and surgeons in defence, healthcare, government clinics, private hospitals and much more. The average income earned by the doctorates after the successful completion of the program ranges from INR 2 to 16 per annum. Top Recruiting Companies Research and Development, Clinics, Healthcare, NGOs, Universities, etc. Job Positions Surgeons, Researchers, Professors, Cardiologists, etc. Ph.D. in Cardiology: What is it About? Cardiology is the science dealing with disorders of the human heart. Having gained a proper and detailed understanding of Cardiology as a field of study through PG courses like DM and MD in cardiology, Ph.D. in Cardiology only takes the student a notch higher in building their overall capacity in the subject. It not only helps them advance their knowledge of the field but also aids in adding weight to their resume making it a highly career-oriented programme. Ph.D. in Cardiology course encompasses the areas of identifying ailment, its prognosis, treatment, and surgery. This branch of medicine which deals with the niche field of cardiovascular science gains a special prominence as it raises the bar for students in building their competence much further in becoming professionals and rendering a work of expertise to patients. The program polishes their skills further of interacting with patients, making them feel at ease and developing a detailed understanding of the nuances related. The curriculum is structured with a view of enabling candidates to gain a personalized and practical overview of the subject area. Hence, Ph.D. in Cardiology course pattern covers the topics of treatment of congenital heart disease, coronary heart disease, valvular heart disease, heart failure, and electrophysiology, etc. It applies the methodology of practice, field visit, internship and classroom lectures, and projects. In addition, they are also rendered the platform to interact with prominent experts from the field with the view of getting their doubts cleared through seminars. The final year deals with the generation of a thesis on concerned topics working under specialists for guidance. Ph.D. in Cardiology trains candidates in gaining further expertise in the field, learn through the multi-disciplinary dimensions of study and turn out to become expert cardiologists. After the completion of the program, students are selected to train and perform different activity concerning the field. The areas include defence sectors, private practice, clinics, healthcare, NGOs, government and private sector hospitals. The overall aim of the program is instilling in students the required skills and competence to emerge as professionals of the field thereby aiding in treating and preventing ailments related to the heart. Candidates should have passed their Master’s degree or postgraduation program in either DM or MD in Cardiology with a minimum aggregate of 55% marks and above from a recognized university of college. Those who have qualified their PG degree in Nursing or hold a Master’s degree in biomedical sciences with 55% marks and above passed from a recognized university are also eligible for admission. Candidates are supposed to pass the State and National Level examination conducted for the program by reputed university and colleges. This will be followed by GD/PI. Candidates seeking admission to the Ph.D. in Cardiology course are supposed to meet the prescribed norms as set by respective colleges and universities. The admissions are done solely on the basis of Merit. 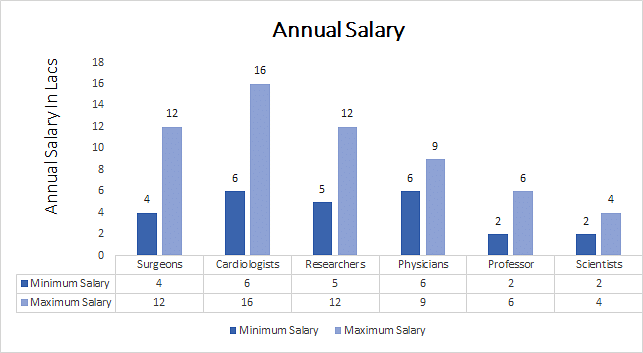 The minimum eligibility criterion to be fulfilled by candidates requires them to qualify their Master’s degree in DM or MD in Cardiology or equivalent examination with an aggregate of 55% and above from a recognized university or college. In addition, some of the reputed colleges and universities may hold their own entrance examination for the program. Candidates are also required to take up the various state and national level entrance examination held for admission to Ph.D. Selected candidates will be called for personal interview and group discussion wherein they would be examined on their knowledge of the subject and help faculty gain a detailed understanding of their traits. The cumulative marks secured in qualifying exams, entrance tests, PI and GD are calculated to obtain the overall merit score which is subject to differ for different institutions and colleges. AICTE-Ph.D. – All India Council for Technical Education Ph.D. The course enables students to gain a detailed view of the subject and build their credibility in carrying out research in the field. They are rendered the opportunity to deal with patients, offer them treatment, conduct prognosis and impart valuable advice for health. After the successful completion of the program, candidates of Ph.D. in Cardiology are opened to a myriad of opportunities surrounding the field of cardiovascular science and its research. Having imparted with the necessary training and knowledge of the field, they are opened to prospects of exploring their career in areas of research and development, clinics, healthcare, NGOs, Defence, Universities, government and private hospitals. They can choose to become private practitioners, surgeons, researchers, professors, cardiologists, scientists, physicians and much more.